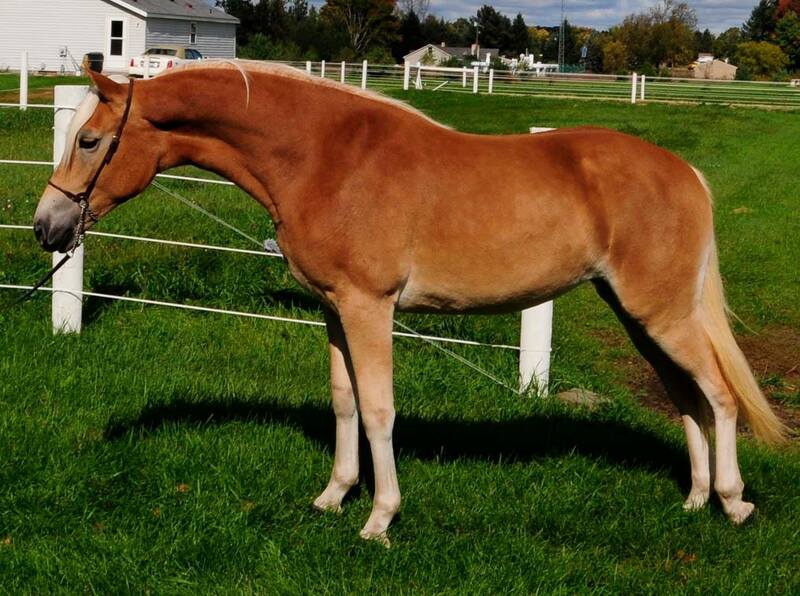 Reality Check of Genesis is a 2015 filly by the only Supreme stallion in North America, Arno van het Nieshof. Her dam, Reagan TOF (liz. Anthony 312 /T x Rivella TOF) has produced numerous winners at the futurities over the years. Reagan’s sire, Afghan III NTF is know for producing mares of excellent type and refinement. Reality Check began her show career as a weanling by placing 2nd in the Senior weanling pleasure class and 3rd in the SIP. As a yearling Reality Check placed 1st in Yearling Mares and then took the Yearling Pleasure Championship. 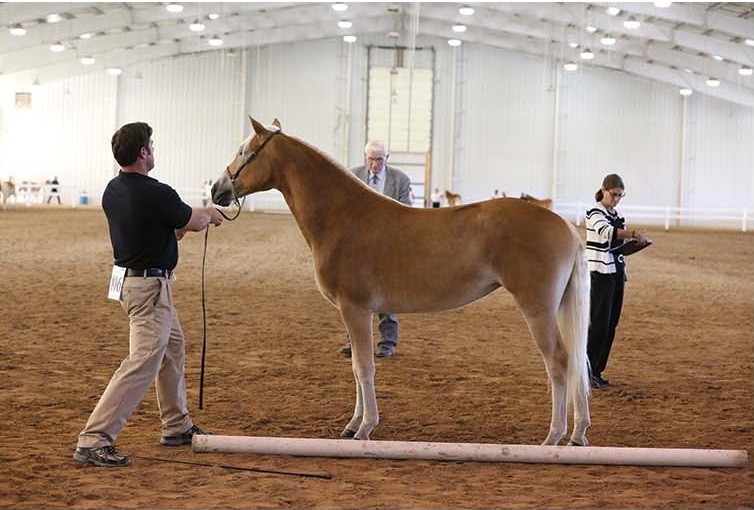 Additionally she went on to win the coveted Haflinger Breeder’s Coop class under all three judges! Allie’s sire Arno, really needs no introduction. 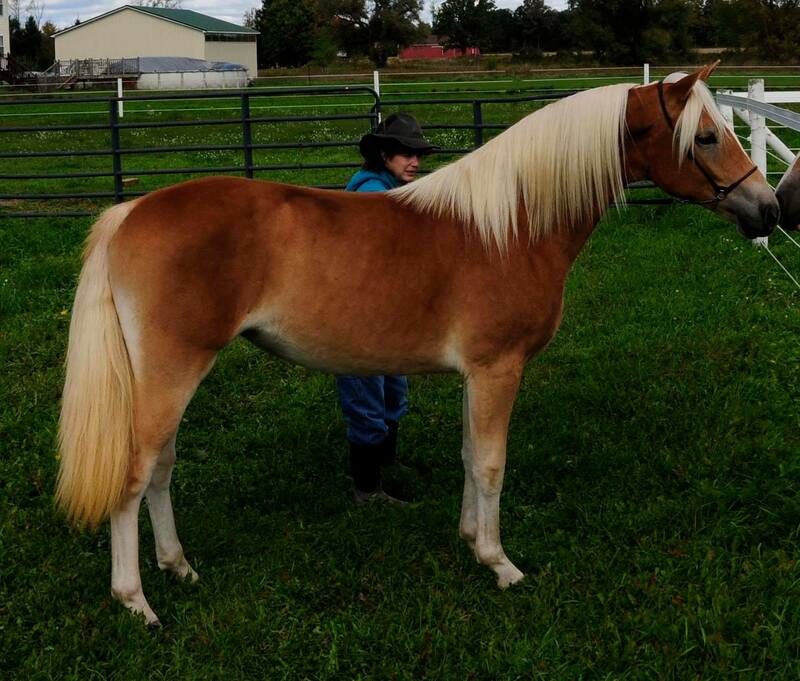 His foals speak for themselves at the shows where they excel in both halter and performance. 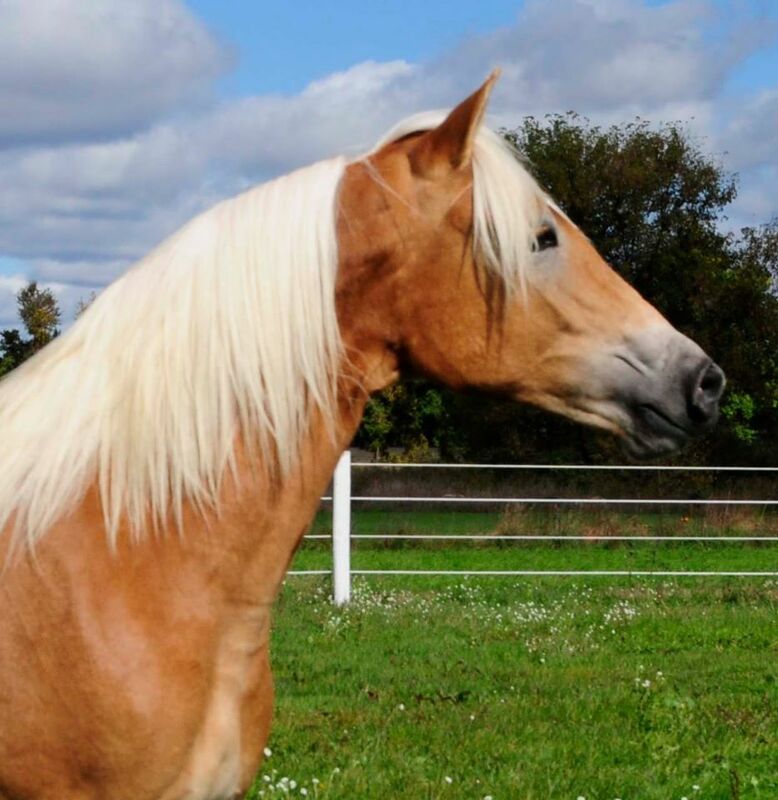 See more on Arno on the Reference Horse page. Allie’s dam, Reagan TOF is an exceptional producing mare who has borne many futurity winners and performance horses. She is silver classified at 77 points. As a future broodmare at Due North Haflingers we see a bright future for “Allie”. 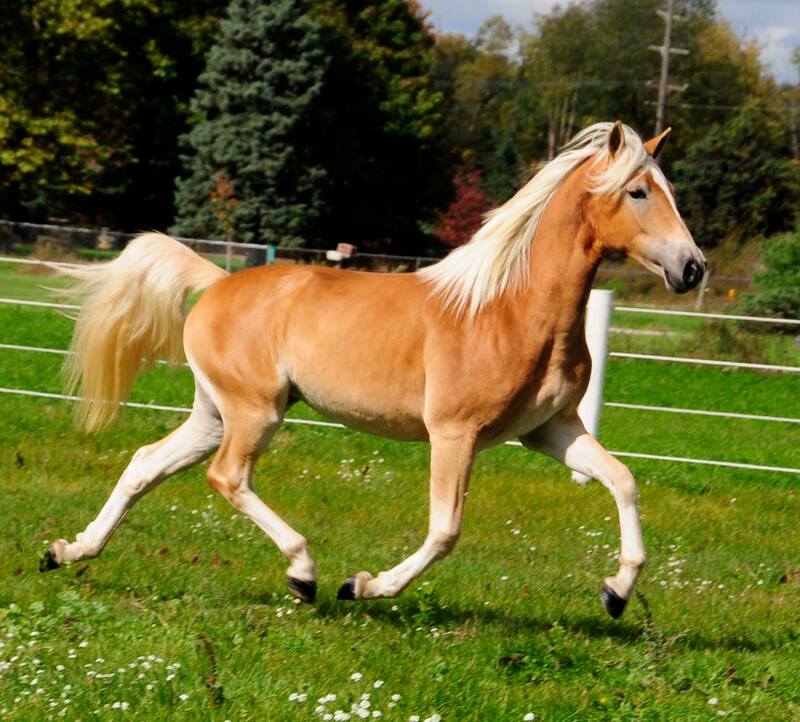 She is already a tall and strikingly beautiful filly with deep red coloring and modern conformation. Her temperament is that of a puppy dog, she loves attention!